« What makes an angry Phrynocephalus mystaceus? 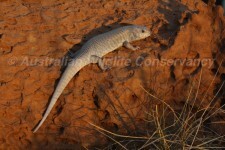 An enthusiastic and capable fieldwork assistant is needed for a study on Great Desert Skinks (Liopholis kintorei) in the Northern Territory. The project forms the behavioural component of a PhD investigating the sociality and dispersal of these unique lizards. Volunteers will need to be prepared for working long hours in very hot, dry conditions. Fieldwork will run from the end of September 2012 until late January/early February 2013. While a commitment to the whole field season is not essential, applicants will be chosen based on their availability during this time. 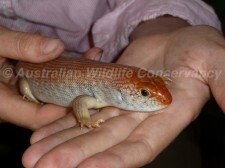 A background in zoology is ideal, and experience in reptile handling preferable. Food and accommodation will be provided, however volunteers will need to organise transportation to and from Alice Springs (open to some negotiation). This is an excellent opportunity to gain extensive field experience in behavioural and ecological research in a very beautiful part of Australia! Application deadline: 20th August, 2012.